Display window decoration or a special eyecatcher for restaurants? 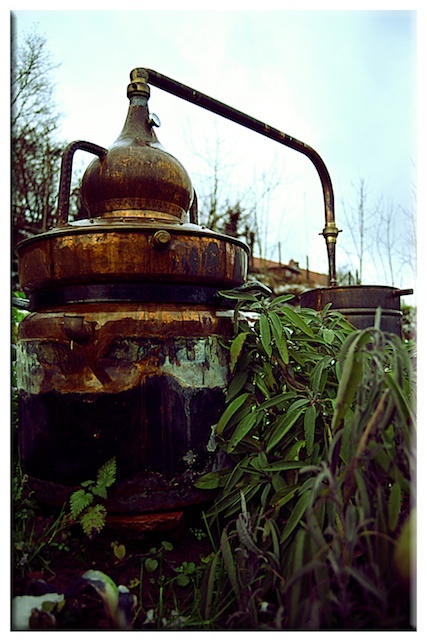 The stills we show in this category serve as an example of our alternatives and are, in some cases, available for delivery direct from our warehouse. We can also forge all the other stills in our range to your specification and change them into highly decorative display pieces. For a small extra charge our coppersmith can hammer a uniform pattern in the copper sheet, make attractive riveting or forge an iron stand. Whatever your wishes are, we can fulfill them - brown oxidation, antique finish, polished copper sheen, or irregularly heated - we would be happy to give you an estimate for your special still or give you references in your vicinity.